← Online Fashion Show?! Heck yeahhh! When you read the title, you might wonder what’s the connection between business to business industry with social media? Isn’t social media mainly used for business to consumer (B2C) market? Well then, you’ll have to rethink your judgement. With the B2B market that relies heavily in networking and long term relationships, being social plays a crucial role in this context. This is where salespeople can connect in an ongoing basis with both current and potential customers. Several benefits that can be obtained out of utilising social media are such as; increased exposure, increased traffic, more insights in regards to the marketplace, developed loyal fans, reduced marketing expenses, and so on. In addition, social media also contribute in ‘humanising’ a brand. Referring back to the collection of information (insights about the marketplace), social media highly facilitate this purpose due to their characteristic that is “social”. Being social means that interactions are occurring often, especially with online communication platforms such as Facebook, Twitter, LinkedIn, Google+ and so on. A research stated that 23% of their research participants specifically cited social media in finding information about prospectus suppliers (business partners), hence the importance of having a social media presence. 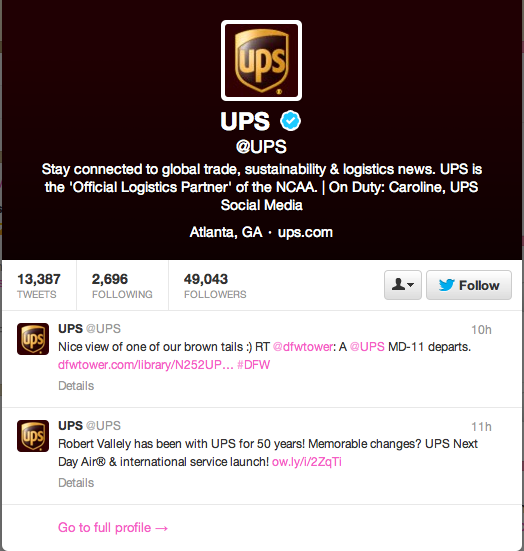 An example is taken from UPS, which is a freight, shipping, logistics and SCM company. They utilise Facebook, LinkedIn, Twitter, Google+, and its UPSide blog, for the purpose of establishing its leadership in the industry. “We use social media to share the brand stories, customer voices and our subject-matter experts to illustrate how we unlock value in the supply chain. The goal is to make logistics fascinating and relevant to segments that buy from us”, said Brian Pember, senior manager of customer communications at UPS. As for LinkedIn’s function in B2B marketing, by providing relevant information to its current and potential clients that will help them in their professional lives will be most useful. 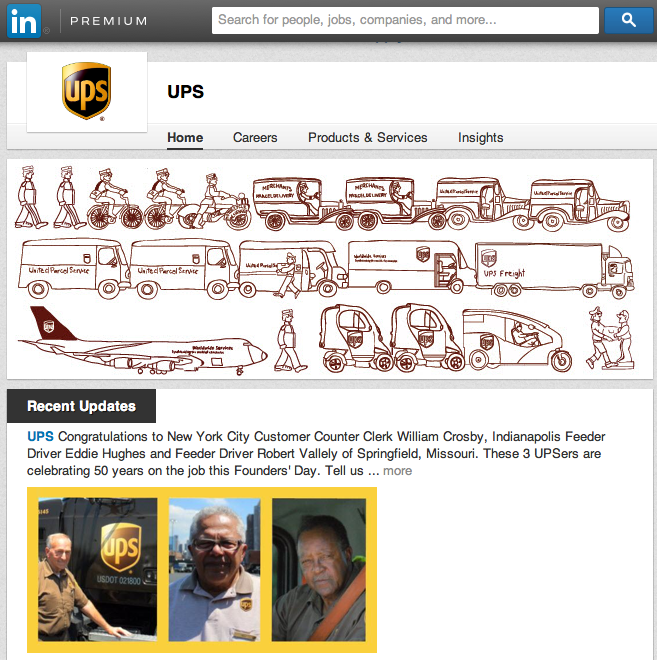 Businesses should produce valuable insights for their connections in LinkedIn that raise the interest of the brand. For instance, UPS may post an information about their services, but instead of saying ‘here are our services’, they may post as ‘SCM models that actually works’. So this is just some part of digital marketing strategies for B2B market. Have this article influence your judgment as to the importance of social media marketing in B2B industry? Overall, never underestimate the power of social media, especially in terms of its applicability in different market contexts. 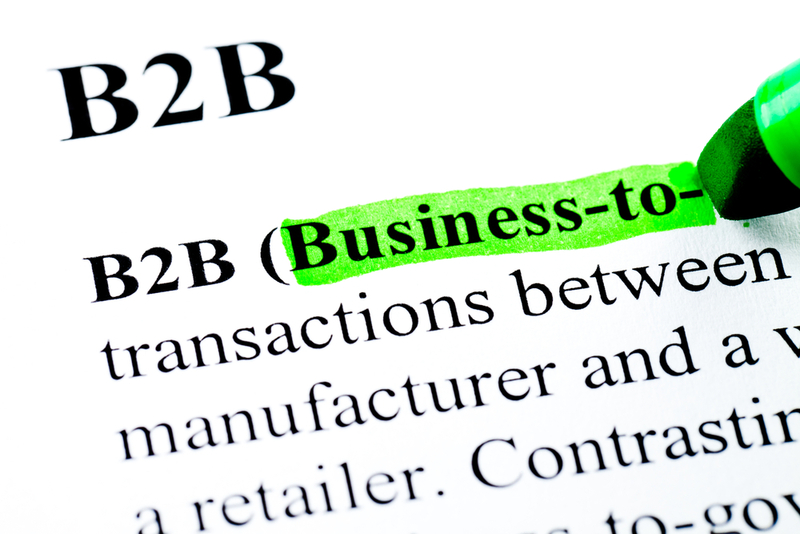 It’s all about how businesses utilise it, as B2C and B2B markets will use social medias differently from one another. So basically, it lies in the implementation of the tools that differentiate the markets and the purpose of the strategy. Hopefully you learn something from this, and do let me know your thoughts about this topic. See you on my next blog post :). Cheers. yes true, I’ve been very interested in B2B marketing. And I asked my friends who are doing master in marketing, they said that networking is the most important marketing for B2B industries. What can build relationships better than social media, right? Linkedin is more of a professional tool, and is definitely provide a lot of information regarding competition, current and potential clients, as well as any product innovation opportunities. But what other tools you reckon would be great for instance, for a chemical manufacturing company? I wonder..
That was a really good point there. As social media world has been growing rapidly, marketers should be able to ultilise this opportunity. UPS has really done a great job in connecting themselves to their consumers. yes, I believe so too. Social media’s very important for industries that rely heavily in ‘networking’ and relationships. Imagine the amount of information that can be generated, and in some ways, might be low cost too. Rather than paying those expensive journals or market researcher to do the research. Especially with being able to connect directly with current and potential customers. There will be a sense of engagement that can;t be replaced by other tools. 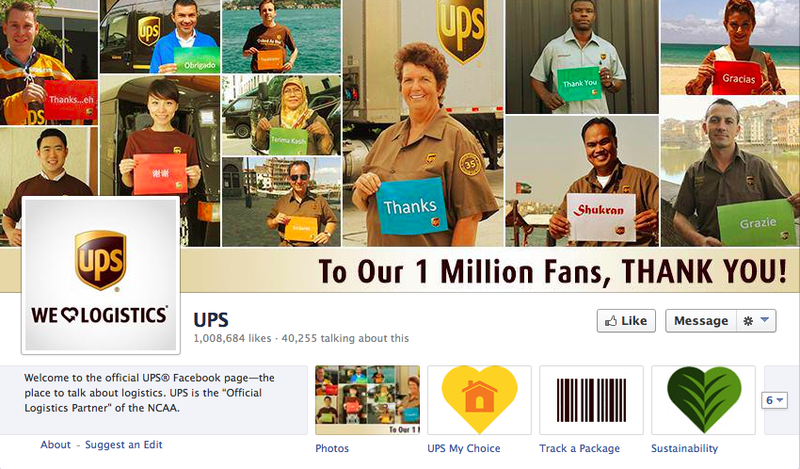 Yes, especially UPS is a well known global brand. They’re smart because they’re one of the first companies in B2B that undertake social media marketing. Smart move right? !